As you can probably tell, I'm still suffering a little bit of a block. When it doubt, gradients! 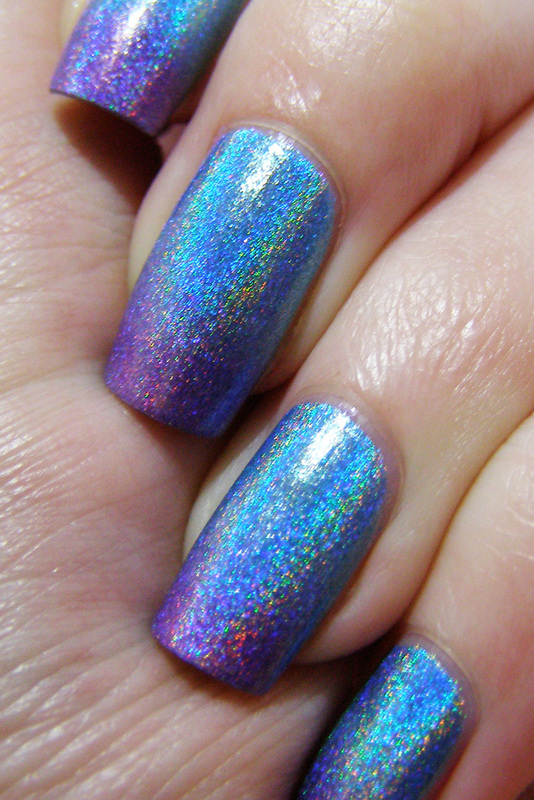 As I was choosing the colors, I realized I had never tried a gradient with two holos before. I can't let that be, not at all! And I have to admit, I kinda love it...though the gradient process does dull the flare a little bit. also, this post is a lesson to me. When my "new" camera says the battery is low, it's not joking around. These are the only two suitable pictures I managed to snag before the camera said "lolno" and shut off. Live and learn, I suppose. OH MY! These are great!! WOW!!!! this is unbelievable. 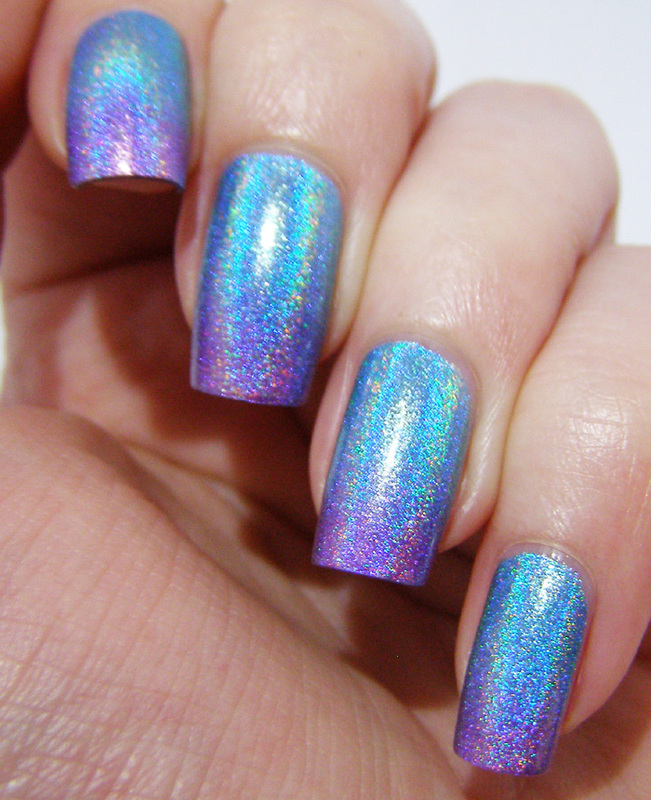 I love the colour choice, this is honestly my new favorite holo nails. thanks! I really, really, really love these holos.